nuffnang. youtube video | Badudets Everything Nice! I became a Super-Slash-Star for a day, thanks to Nestle Fruit Selection Yogurt for bringing me in a quick getaway last month. I received an email from Nuffnang inviting me for a getaway but no hints about the location and the activity. All it said was to bring change of clothes, whoa! I got giddy and since I love getaways, I said yes! One Saturday morning, I packed my bags and headed to our meeting place in BGC. 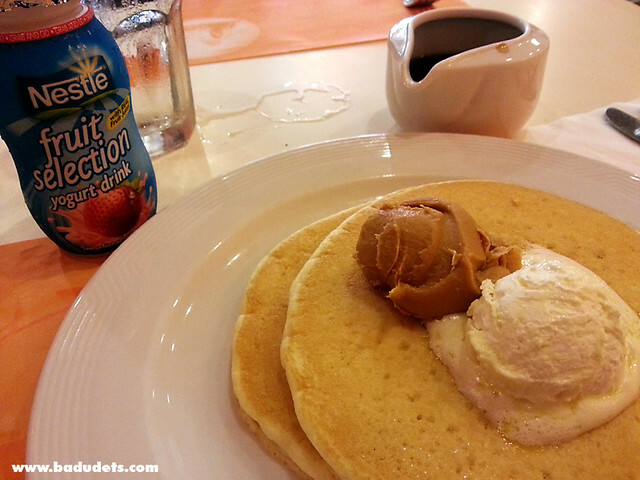 But first, breakfast in Pancake House with Nestle Fruit Selection Yogurt Drink in Strawberry.